We provide professional ceiling, underfloor and wall insulation installation into the home, rentals and commercial properties. We are committed to reducing your energy costs, making your home warmer and healthier and helping to reduce CO2 emissions. Sustain Energy Solutions is a leading energy efficiency and property improvement company. We invest profoundly in our future and that of generations to come; improving, maintaining and renewing the places where we work, live and play. The company operates nationally across residential, rentals and commercial sectors. Our strong relationships and our company structure ensure that we understand all our clients’ needs and respond to them efficiently. We pride ourselves on our exceptional levels of health and safety compliance and customer care. We provide installation service to make your home a dream home. Our project specialists and professional installers work with you till the completion of your project. Our team fully equipped with proper tools & safety equipment to increase functionality. We assure timely completion of the project. Keep your home warm with ceiling insulation and save 30-35% of heat which is estimated loss through the ceiling. Insulating your ceiling is generally the easiest, cheapest and most effective insulation to install. Underfloor insulation can save up to 12-14% of energy loss through your flooring. 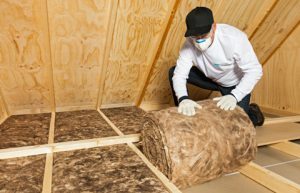 A well-installed insulation can prevent moisture from penetrating into the house from a damp basement. About 18-25% of heat is lost through walls if they don’t have insulation. Wall insulation is easy to install when building or renovating walls. Retrofitting wall insulation to an existing home is more complicated. 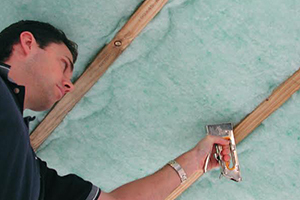 For perfect encapsulate, a home requires an installation of insulation material at every corner of the home. It requires insulation of attic, basement or tricky areas like these. Thus requires proper safety equipment’s for insulation of these sections to avoid any mishappening. 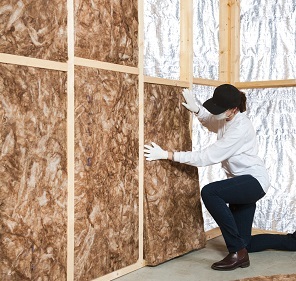 For comfortable and energy-efficient home a perfect insulation is required, which demand appropriate tools to ensure quality fitting of insulation material. Inappropriate tools may result in imperfect insulation. Installation requires planned strategies for perfect encapsulation. Insulation product should not be installed either too tight or too loose as tight insulation may hinder incoming fresh air and too loosened will lead to the leak of energy.